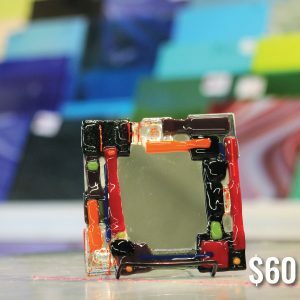 Do something creative and unique! 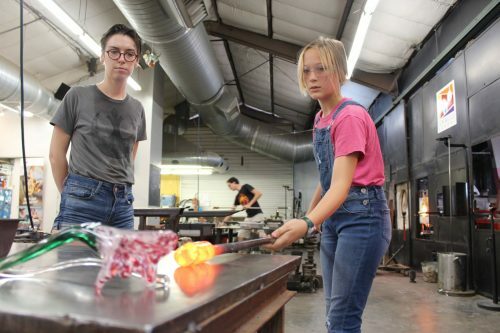 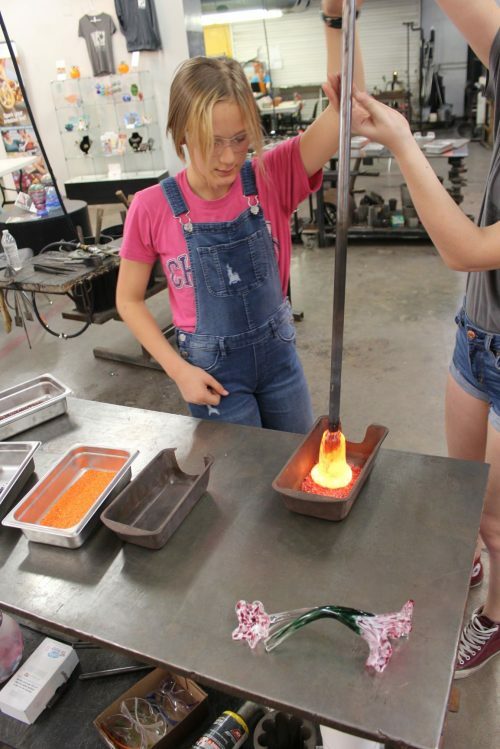 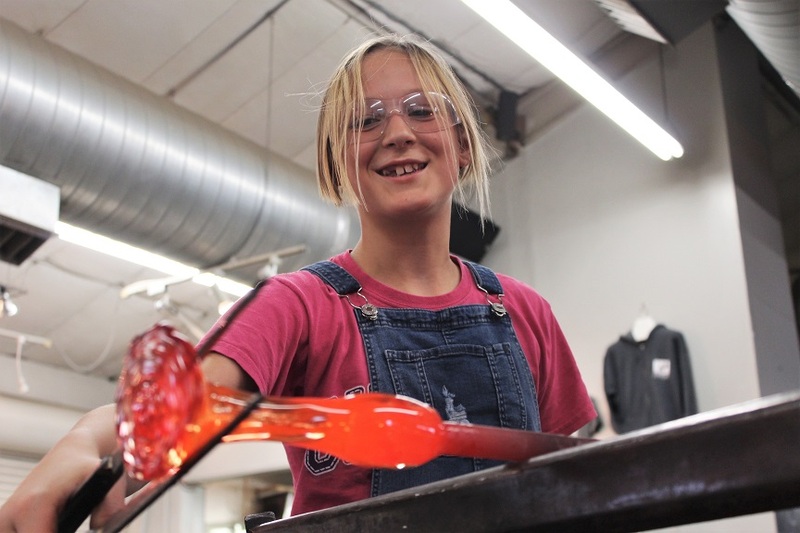 Make Your Own Glass Flower is a quick 15 minute introduction to furnace glassblowing in our Hot Shop. 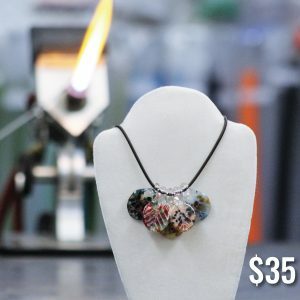 You will choose the color and style of your piece and then assist an SGS instructor in making it. 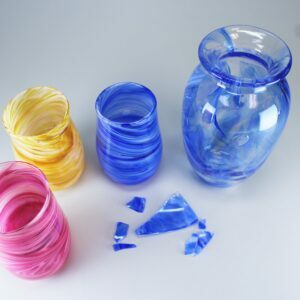 Use a steel pipe to take gathered glass, color it, and reheat it at the hole as needed. 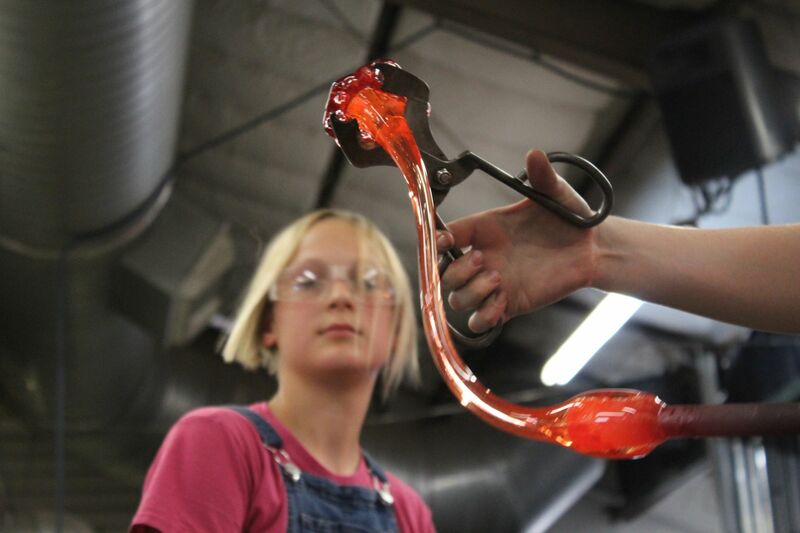 Then, use tools to shape the glass. 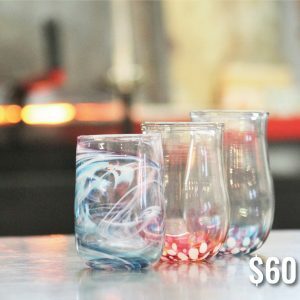 Take a more active or passive a role based on your comfort level. – Ages 5 and up.